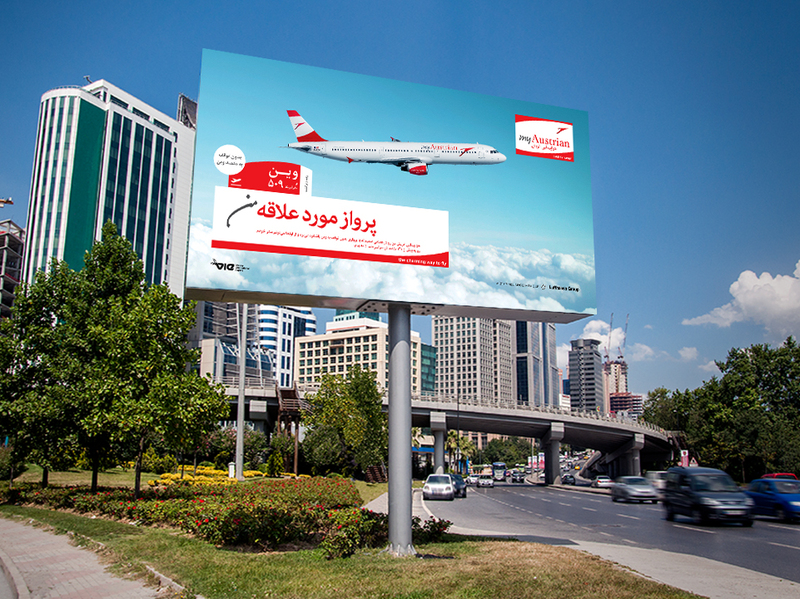 To introduce the airline that has recently entered Iran, and given the media advertising limitations for this service, OOH advertising has been chosen as the main media to raise awareness about the brand in the country. In addition, the brand was introduced in the digital media, and the online ticket booking was done via the official website of the airline. 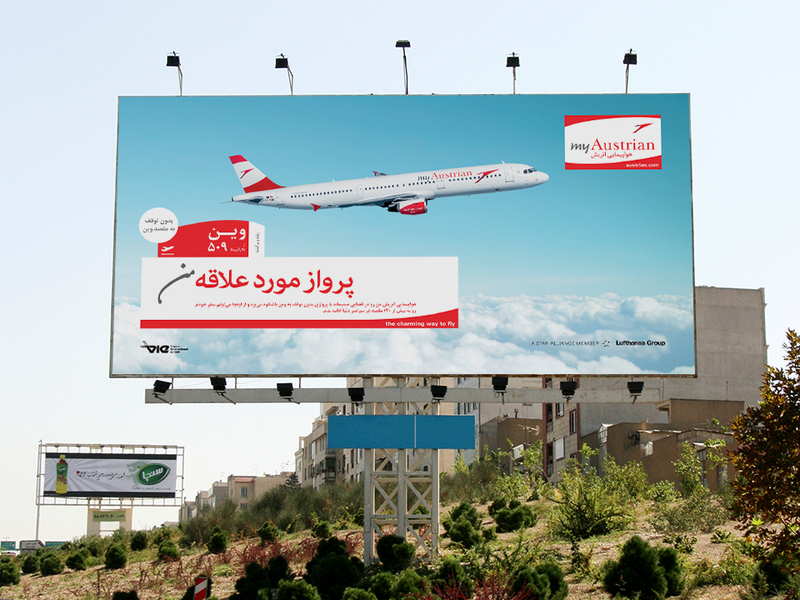 In OOH advertising, with respect to budget limitations, we will choose billboards with a rotational strategy of 15 to 30 days and a high frequency. This would increase the presence of the brand and create awareness. Considering the target group, mostly businesspeople of high social standings, banner advertising in news and sport websites are considered all year long in this digital campaign. This will also make online ticket booking possible by a single click on the banners.